Huzzah! I’m delighted to learn that the Environment Agency has signed up with a company who, for a trial period, will help to enforce the mooring regulations on parts of the Thames including Walton and Weybridge. 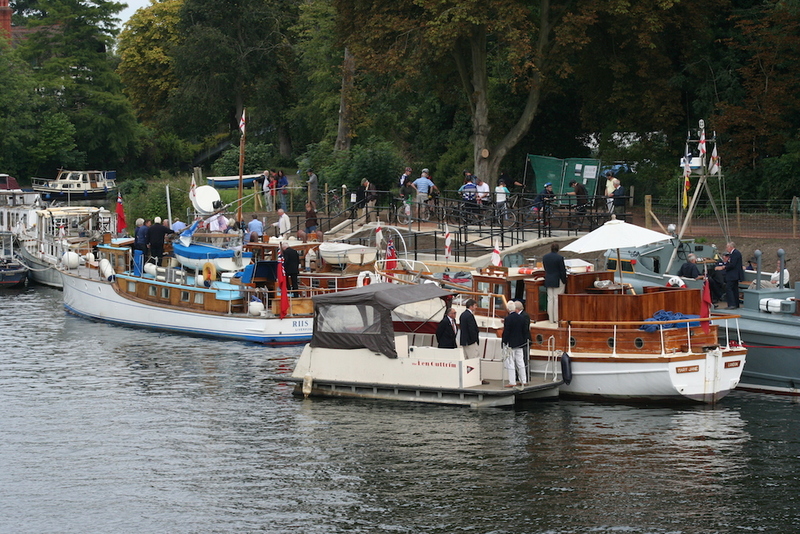 It is an annoying fact that there are dozens of boat owners who arrive at ’24-hour free’ mooring spots and simply use them as free long-term homes, taking not the slightest bit of notice of warnings from EA staff or the anger of people who genuinely want to stop overnight before heading further along the river. I’ve often wondered what kind of people they are, those of the ‘me first’ generation who think they have a divine right to ignore regulations that most normal people understand and abide by. Presumably, if they have cars, they don’t bother to have them taxed, insured or MOT’d and heaven forfend they should be expected to pay for electricity, gas or water. Well now, that life of ignorant bliss could be coming to an end. The mooring enforcement trials will take place at Osney Lock and in our own area at Walton and Weybridge. Announcing details, Nick McKie-Smith, the Environment Agency’s Enforcement Manager said: ”This is a positive move, which we think will be welcomed by most boaters who abide by the rules. Notices at the locations state that by mooring there, boaters agree to a contract with the EA that includes abiding by the time limits. The private firm, District Enforcement, will not have staff on the river but will take over the legal process once offending boats have been reported by EA staff. Any further legal action will be taken under civil law and is based on procedures the company uses in car parks. Details have been drawn up in consultation with river users’ groups. I fully support the EA’s decision to launch this trial – my one concern, having dealt with car clamping companies in the past, is that District Enforcement don’t attempt to overstep the mark and start harassing law-abiding skippers. However I don’t think that’s likely to happen because it will still be EA officers who will be responsible for reporting transgressors to the enforcement company. It will be interesting to see how the trial goes. THIS is just not good enough – it’s August and I still haven’t managed to get out on Terra Nova once yet. Part of the reason is that Julie and I have a four-month old granddaughter – Caitlyn Mae – who lives with her mummy and daddy in deepest Essex and we’ve been spending a great deal of time up there watching her grow and enjoying the grandparent experience. But I have to say, I yearn for the sound of the boat’s engine and the water rippling past her hull. There’s just never enough time to fit everything into our lives at the moment. HAVE you got a river-related story you’d like to share? If so send me an email at mort.smith [at] trinitymirror.com or give me a call on 07760 361106.